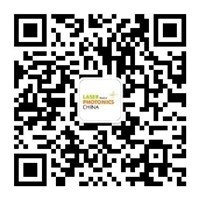 （1）Overview of laser safety standards in China and abroad. International Standardization Organization, China Laser Safety Standards, IEC/ISO Laser Safety Standards, American Laser Safety Standards, European Laser Safety Standards. （2）Laser safety protection and personal injury risks. The wavelength dependence of laser radiation injury on eyes; the damage of laser radiation to the retina and the skin. （3）Laser equipment, safety signs and laser safety management. Safety signs, engineering protection measures, management and protection measures. （4）Safety rules for laser system workshops. Classification of laser products, environmental factors for laser product hazard assessment, calculation of laser radiation hazard parameters, and laser product classification system. （5）Lectures on the safety of laser parts and laser processing systems. Lectures on laser safety issues concerning the safe production and use of laser optical components, solid-state lasers, CO2 lasers, laser cutting systems, laser welding systems, laser surface modification systems, laser texturing equipment, and laser rapid prototyping systems. The training course will be held at the Shanghai New International Expo Center. Shanghai New International Expo Center (No. 2345, Pudong New Area, Shanghai) is strategically located in the Pudong Economic Development Zone. There is a large transportation hub 600 meters away from Shanghai New International Expo Center, namely Longyang Road Station (on Longyang Road). Get off at Longyang Road Station of Metro Line 2 and walk about 10 minutes to Shanghai New International Expo Center. Get off at Huamu Road Station on Line 7 and walk about 1 minute to Shanghai New International Expo Center. Rheinland Technology (Shanghai) Co., Ltd. He is currently the deputy director of the National Engineering Research Center for Laser Processing of the School of Optics and Electronics, Huazhong University of Science and Technology, the executive director of the Hubei Mechanical Engineering Society, the member of the Standing Committee of the Laser Processing Committee of the China Optical Society, the vice chairman of the Laser Society of Hubei Province, and the editorial board of the Laser Technology magazine. , "Editive Laser" magazine editorial board. Mainly engaged in research on new CO2 gas lasers, high power laser processing system integration, laser processing technology. He has successively undertaken one of the “10. 5” and “11. 5” scientific and technological projects of the Ministry of Science and Technology, a key scientific and technological project of “Eleventh Five-Year Plan” in Hubei Province, and a major special project of “High-end CNC Machine Tools and Basic Manufacturing Equipment” of the Ministry of Industry and Information Technology. The National Natural Science Foundation of China and the Doctoral Fund of the Ministry of Education each have one project, and nearly 60 projects from corporate science and technology projects. He has published more than 60 papers in important academic journals at home and abroad. Received 5 national invention patents. He won the second prize of the provincial scientific and technological progress and the first prize of the Ministry of Education for scientific and technological progress. Technical Expert of the International Electrotechnical Commission Optical Radiation Safety and Laser Equipment Technical Committee (IEC/TC76), Secretary General of the National Technical Committee for Standardization of Optical Radiation Safety and Laser Equipment Standardization Technical Committee (SAC/TC284/SC2), Wuhan Huagong Laser Engineering Technical director of the limited liability company, professor-level senior engineer. Born in November 1973. He graduated from the School of Electrical Engineering of Xi'an Jiaotong University in 1993 with a bachelor's degree in engineering. In 1998, he graduated from the School of Electric Power of Shanghai Jiaotong University with a master's degree in engineering. In 2007, he graduated from the School of Electrical and Electronic Engineering of Huazhong University of Science and Technology with a doctorate in engineering. He has successively served as development engineer of Huawei Technologies Co., Ltd., project manager of Emerson Network Power Co., Ltd., and head of R&D department of Wuhan Ruike Fiber Laser Technology Co., Ltd. He is currently the deputy chief designer of Fiber Laser of Ruike. Ph.D., associate researcher, master tutor, deputy director of the Public Technology Service Center of the Optoelectronics Research Institute of the Chinese Academy of Sciences. In 2015, he was appointed as a professor at the National University of Science and Technology, and served as a teacher of the "Laser Technology" instructor. In 2014, he was selected as a core member of the National Innovation Talent Promotion Program “High Energy, High Beam Quality, All Solid State Laser Technology Innovation Team”; in 2011, he won the second prize of National Science and Technology Progress Award – “The key to industrialization of 50W all-solid-state laser devices and their core components” Technology"; has been engaged in liquid crystal spatial light modulator beam shaping technology research, all solid-state picosecond laser technology, nonlinear optical technology, laser device detection technology, laser radiation safety, laser consumer product safety and photoelectric measurement, has participated in 863, natural science fund More than 10 national projects, including international cooperation and national major instrument special projects. At present, the research on laser component development, testing and laser safety is carried out. He has published a total of 43 journal articles, applied for 25 invention patents, and drafted 2 national standards, covering the field of laser radiation safety. In 2011, he graduated from Anhui University of Engineering with a major in mechanical design, manufacturing and automation. In 2012, he entered the auto parts company Haistem, responsible for the 3D laser cutting process. In 2014, he joined Trumpf China in charge of customer technical support, automated tooling design and customer product training for TRUMPF 3D laser systems. He has nearly seven years of experience in laser processing. Currently responsible as a product manager for TRUMPF 3D laser system laser products. SAC/TC284 Deputy Chairman, Secretary General of SAC/TC284/SC1, IEC/TC76/WG10 Registered Expert, GB/T 7247.14-2012 "Safety of Laser Products Part 14: User Guide", GB/T 7247.13-2013 "Laser Product Safety Part 13: Classification of Laser Products, Standard Drafter. Focus on the assessment and management of laser product safety. Company Name: Shanghai Laser International Communication Co. Ltd. Note: This account only accepts RMB remittance! On-site payment only accepts cash!